The TekScope® THS700 Series Oscilloscope/DMM combines a full-featured real-time oscilloscope with a True RMS digital multimeter in rugged, battery-operated instruments. Scope and meter modes can operate simultaneously and independently on the same or separate signals. The high-resolution, backlit display and pop-up menus make it easy for users to take full advantage of the many features of the instrument. These include cursors, video trigger, voltage and resistance measurements, and storage of waveforms, data, and instrument setups. In addition, they offer the most comprehensive triggering capabilities - external trigger and extensive triggering including delay, pulse width, and video. 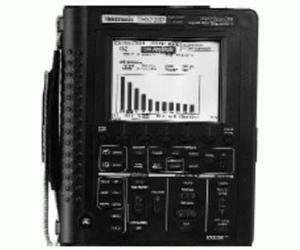 The THS720P Oscilloscope/DMM includes features to address the needs of electrical/power electronics measurements.